Cold water sailing in comfort. Lovingly constructed with great thought and expertise. As solid a build as I ever saw. On the main anchor the boat has 60m of 10mm chain spliced into 50m of warp. The spare anchor has 60m of warp. The vendor put his heart and soul into the build of this traditional yacht. The vendor is a marine engineer and this shows in the build quality and the subsequent maintenance of the boat. The hull is insulated that together with its Eperspacher heater means that this yacht is well suited for use in cold Northern watersmas well as in warmer climes. If you like a traditional trawler style motor sailer with the range of a sailing boat but the comfort of a motor yacht then this is the yacht for you. An early viewing is strongly recommended. 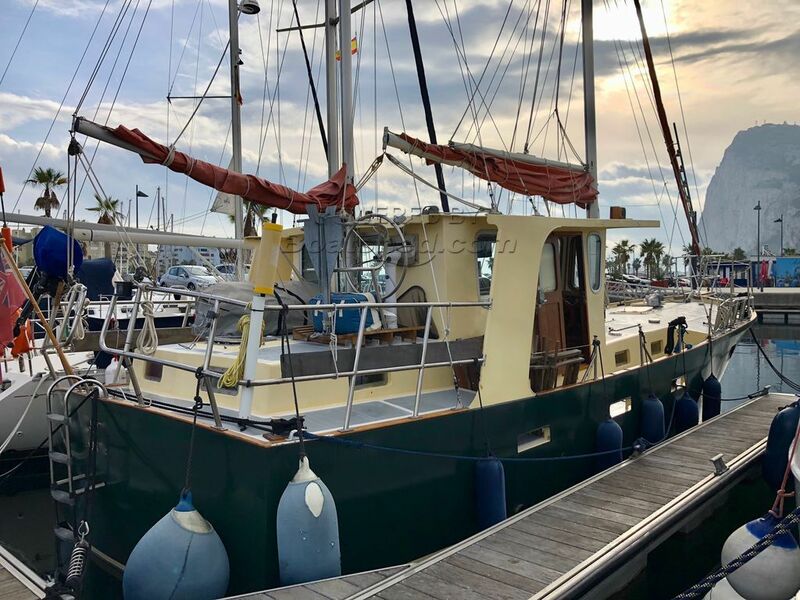 This Bruce Roberts PCF 40 Sailing Trawler has been personally photographed and viewed by John & Lynda of Boatshed Gibraltar. Click here for contact details.